What has Chandra found (or not found) during the course of its mission in the important area of exploded stars and what they leave behind? Find out in this post in "The Unexpected" series. As anticipated, high-resolution X-ray images have provided new insight into the supernova process, the effect supernova shock waves have on the surrounding interstellar gas, the acceleration of particles by rotating neutron stars, and enabled the discovery of many stellar-mass black holes. Here's our next installation in our occasional series on the Chandra blog called "The Unexpected." These posts will take a look at some of the biggest surprises (and expected discoveries) made by Chandra so far in its mission. Today's topic is "normal stars," which is what astronomers call stars that are similar to our Sun. 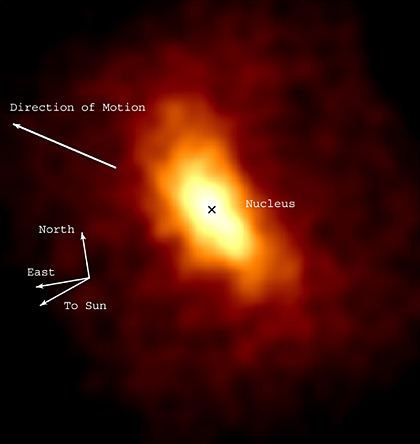 X-ray emission from the outer atmospheres, or coronas, of stars of almost every type: young and old, large and small. Looking back on the more than twelve years of science from NASA’s Chandra X-ray Observatory and trying to predict what it will find in the future, one thing is certain: we can expect the unexpected. This blog series will look at both some of the anticipated findings from the past dozen or so years, plus some of the unexpected results so far from the Chandra mission. Today, we look at discoveries involving our Solar System. X-ray emission was detected from the atmospheres of planets and comets. The X-rays are produced when solar X-rays and high-speed particles flowing away from the Sun hit these atmospheres. The observed X-radiation provides information on the outer atmospheres of these objects that is difficult to obtain with other telescopes.